Can I Have A Dog If I’m Allergic To Canines? Yes, you can. It just requires some extra work. 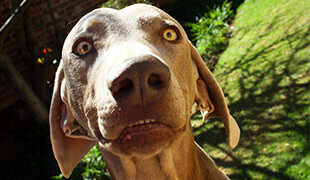 If you or someone in your household is allergic to dogs, having a pooch is not necessarily out of the question. 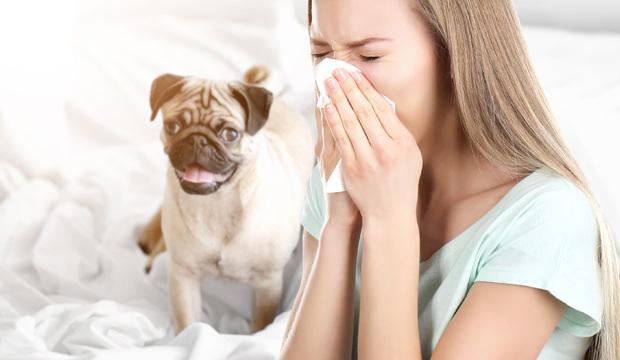 Yes, there will be some extra duties for you – to identify the source of the allergy; investigate treatment options; look for low allergen pets… – but it will all pay off in the end, we promise. The thing is that many people with allergies aren’t necessarily allergic to dogs or dog hair. In fact, they might simply be allergic to what dogs carry in their hair. Dog hair can be packed with pollen granules, allergens from the outside world, dander, saliva or urine, so you will first want to do some allergy tests to see what you are allergic to exactly. Weekly bathing of your dog in a gentle pet shampoo. Daily brushing, but by someone else who is not allergic. Weekly washing of pet bedding on a hot cycle (over 60°C). Good ventilation in the house. Lots of open windows and as often as possible. Vacuuming more frequently and using HEPA filters that trap allergens better. Washing your hands after EVERY patting session. Keeping your pooch off the bed and couch. If there’s a backyard, keep your dog mainly outside. Minimize rugs and heavy curtains in your house. Which Breeds Should I Consider? Technically, breeds that shed less are better for allergic people as there is less hair carrying the allergens around the house. Definitely consider a dog with a single coat as they shed less than breeds with thick undercoats. There will be less dander and less hair will end up being spread all over the house. As far as hypoallergenic breeds are concerned, unfortunately no dog breed is truly hypoallergenic, but those that don’t shed and have hair instead of fur are less likely to trigger allergies in humans.